Kudos to Fox 5 News NY (WNYW-TV) reporter Ti-Hua Chang who will receive an AAJA National Journalism Award in the category of Television-AAPI Issues for his ground breaking story on Asian American Poverty, based on a New York City study by the Asian American Federation of New York (AAFNY). Click here for the video. The Asian American Journalists Association (AAJA) will present its awards for excellence in news coverage of Unlimited Subject Matter and Asian American and Pacific Islander Issues for 2010 on Saturday, August 7 at its Gala Scholarship and Awards Banquet at the Renaissance Hollywood Hotel & Spa at AAJA’s National Convention. Frank Buckley, anchor, KTLA and Betty Nguyen, CBS News correspondent will co-emcee the banquet. Laura Ling, journalist, producer and on-air correspondent, author and correspondent will be the keynote speaker. Ti-Hua Chang joined WNYW/Fox 5 in 2009 as a general assignment reporter from sister station WWOR/My9, where he served as a general assignment and investigative reporter since 2008. Previously, Chang worked at WCBS-TV where he served in the same capacity. Prior to that, he was a reporter with WNBC. On 9/11, he was the first reporter to inform the public on the number of causalities that day quoting Mayor Giuliani and city officials. 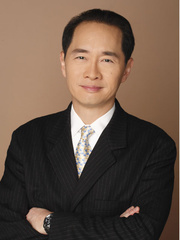 Chang joined WNBC from WNYC-TV, where he was host of his own talk show, New York Hotline. Before he began his on-air career, he was an investigative producer at ABC News. Chang is the recipient of numerous awards. In 1996, he won the prestigious Peabody Award for a series of reports he filed on accused drug-dealing murderers. In 2004, he won a New York Press Club award for his reports on a shooting at City Hall. He received an Edward R. Murrow Award in 2005 for a piece exposing police officers using a helicopter and high tech infra-red equipment to spy on private citizens. Chang is especially proud of discovering the four witnesses to the 1963 murder of Medgar Evers, which led to the reopening of that famous case. Chang has also won five Emmys; the Philadelphia, Denver and Detroit Press Association awards; and, the Associated Press and United Press International awards. Very active in Asian-American community affairs, Chang was both a national and local New York Board member of the Asian-American Journalists Association. 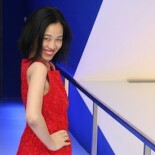 Chang also has been published in a number of magazines, including the Sunday New York Times and The Detroit News. Chang was a recipient of the 2006 AAJA Dr Suzanne Ahn Award for Civil Rights & Social Justice for Asian Americans, and is a graduate of the AAJA 2005 Executive Leadership Program. A graduate of the University of Pennsylvania and Columbia University’s Graduate School of Journalism, Chang was named by Columbia in 2004 as one of 10 most influential Columbia alumni in New York City, where he resides with his family. The Asian American Journalists Association is a non-profit professional and educational organization with more than 1,000 members across the United States and in Asia. Founded in 1981, AAJA has been at the forefront of change in the journalism industry. AAJA’s mission is to encourage Asian Americans and Pacific Islanders (AAPIs) to enter the ranks of journalism, to work for fair and accurate coverage of AAPIs, and to increase the number of AAPI journalists and news managers in the industry. AAJA is an alliance partner in UNITY Journalists of Color, along with the Native American Journalists Association, National Association of Hispanic Journalists, and National Association of Black Journalists. For more information, visit www.aaja.org. 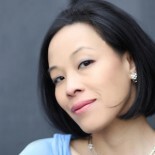 Lia Chang is an award-winning filmmaker, a Best Actress nominee, a photographer, and an award-winning multi-platform journalist. Lia has appeared in the films Wolf, New Jack City, A Kiss Before Dying, King of New York, Big Trouble in Little China, The Last Dragon, Taxman and Hide and Seek. She is profiled in Jade Magazine and FebOne1960.com Blog. This entry was posted on July 28, 2010 by Lia Chang in Asian American Issues, New York and tagged (WNYW-TV), AAJA National Journalism Award, Asian American and Pacific Islander Issues, Asian American Federation on New York, Asian American Journalists Association, Asian Americans and poverty, Atlanta Journal-Constitution, Backstage Pass with Lia Chang, Betty Nguyen, CBS News, Farnaz Fassihi, Fox 5 News NY, Frank Buckley, Joaquin Uy KBCS 91.3 FM, KCBS 91.3 FM, KTLA, Lia Chang, Lianne Milton, Lifted Veils Productions, National Asian-Pacific Center on Aging Receives Federal Grant, Paul Beckett, Peabody Award, Phillip WD Martin, Russ Mitchell, Skin Tanning in Asia, Skin Whitening in Asia, The Wall Street Journal, Ti-Hua Chang, Vino Wong.